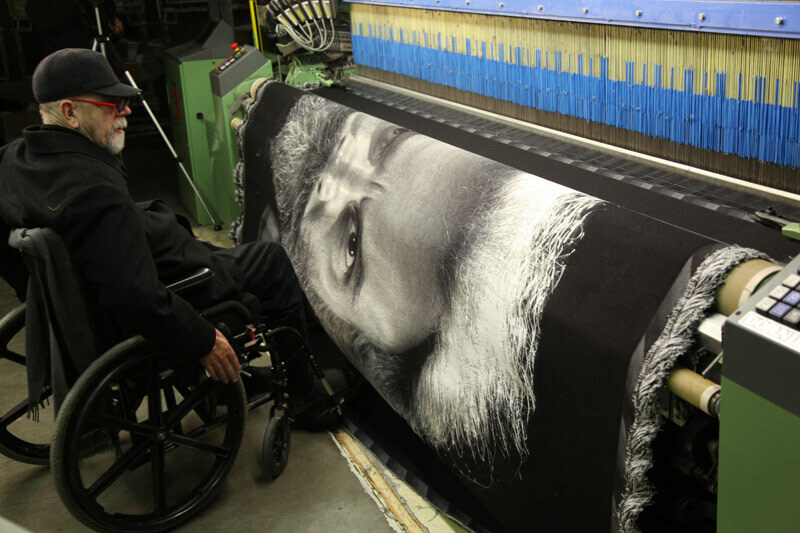 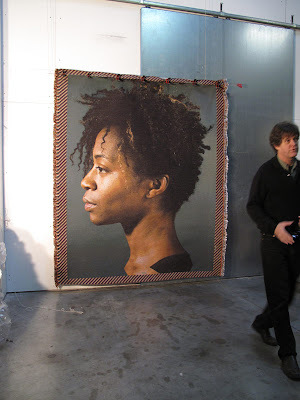 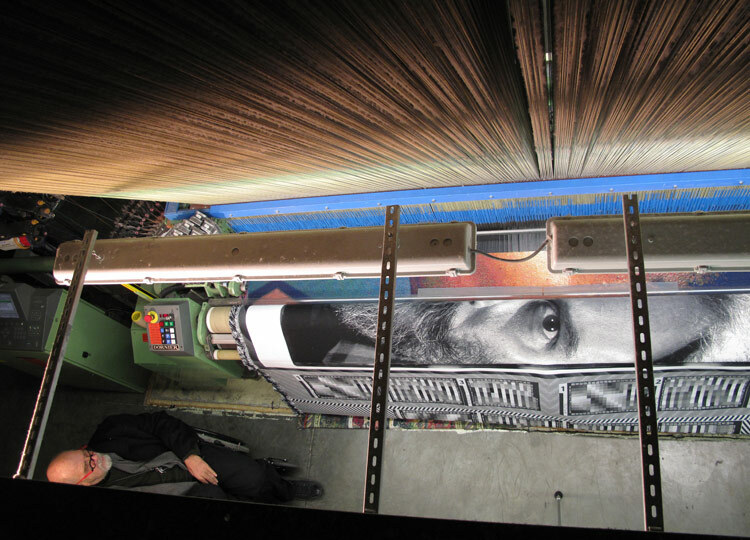 Don and Era Farnsworth are in Belgium for the holidays, working with Chuck Close on some potential new tapestry editions. 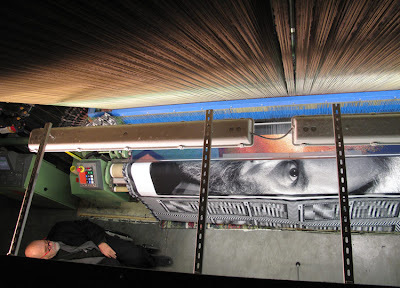 Below, some photos from the mill where the tapestries are woven (based on files painstakingly created by Close and Don Farnsworth.) 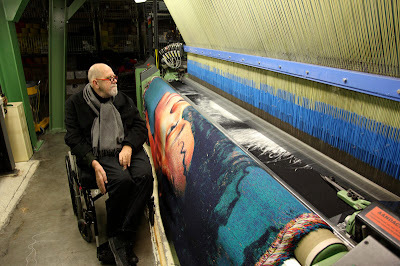 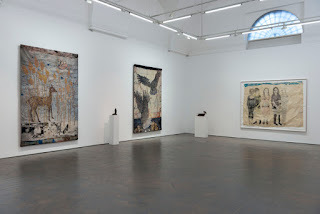 Please bear in mind that the artworks shown are still in the experimental stage.